These brush boxes are ideal for protecting and storing brushes of various sizes. They also function as brush easels - the lid folds around creating a stand and making brushes easily accessible. They+re constructed of hardwood with veneer. 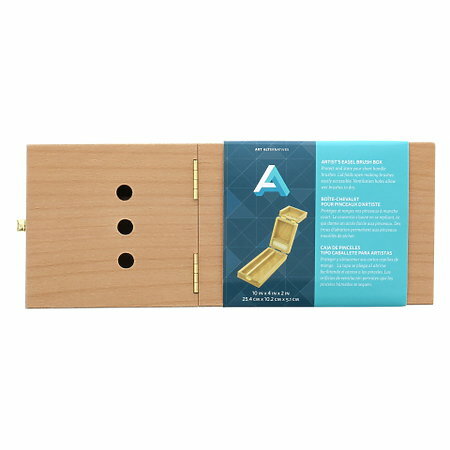 They feature durable finger-joint construction, are hand-sanded and are finished with sturdy brass hinges and latches. The divided compartments are perfect for storing additional painting supplies.